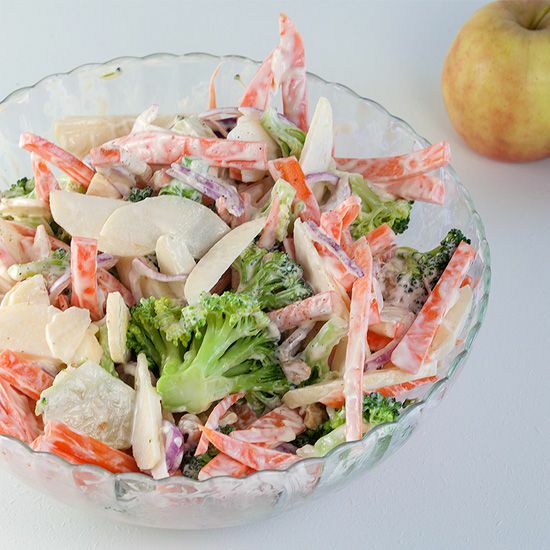 Broccoli apple salad might not be the first combination of vegetables that comes to your mind, but it's SUPER delicious! Ready in 15 minutes. FILL the large pan with water and bring to a boil. MEANWHILE peel the carrots and slice them julienne. CUT the broccoli into florets and blanch them shortly in the large pan containing the boiling water. DRAIN the broccoli and let cool off. 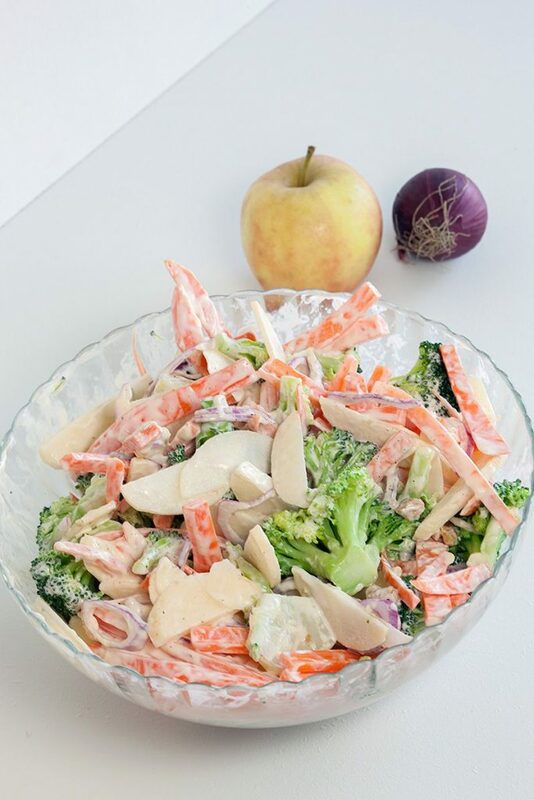 PEEL the apples and thinly slice and slice the red onions into rings. 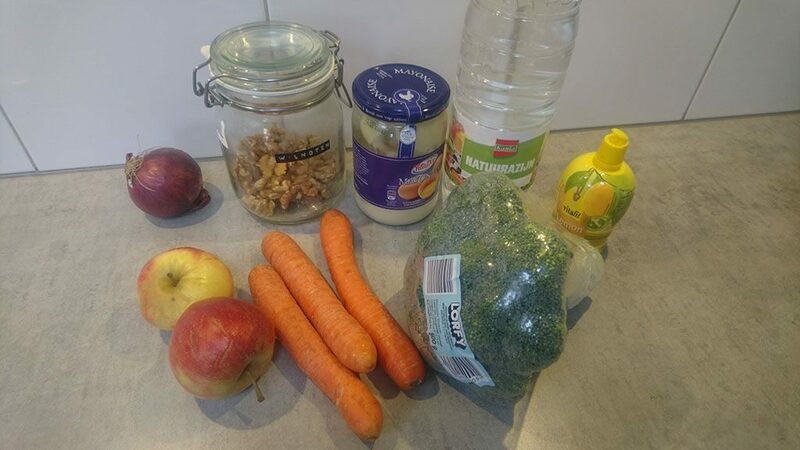 MIX the ingredients into a large bowl (crush the walnuts into the palm of your hand) together. 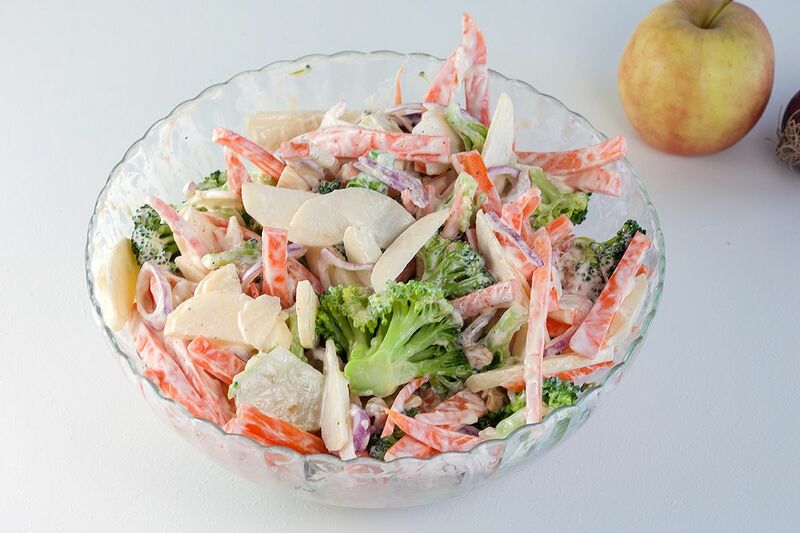 SEASON the broccoli apple salad using a bit of pepper and salt. Enjoy your meal!